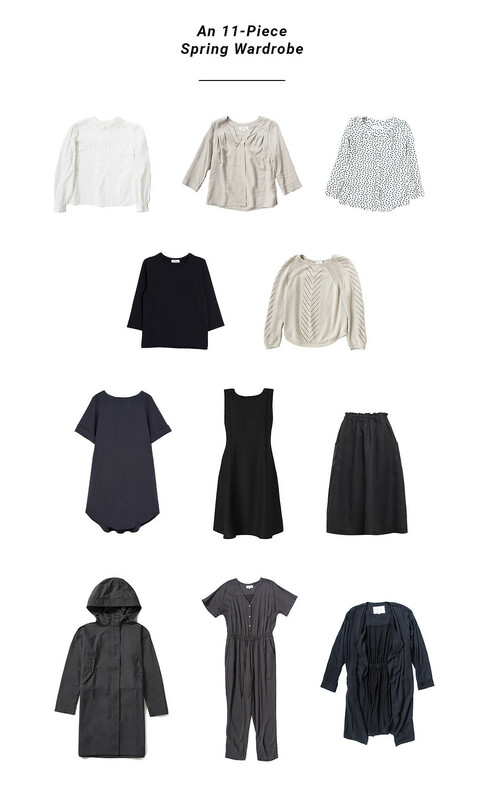 I famously do not follow the capsule wardrobe method. It has issues. Instead I follow my own anti-capsule method that focuses on cohesion, function, and practicality for all seasons rather than just the current one. It means I create a wardrobe that suits my lifestyle; I always have what I need or know exactly what I should buy. Although I don't put any clothes away in storage, there are some items that will naturally go into retirement until they're needed again later in the year. For spring, things like heavy knitwear and below zero coats, hats, scarves, and gloves, are (fingers crossed!) unlikely to be needed quite as much. 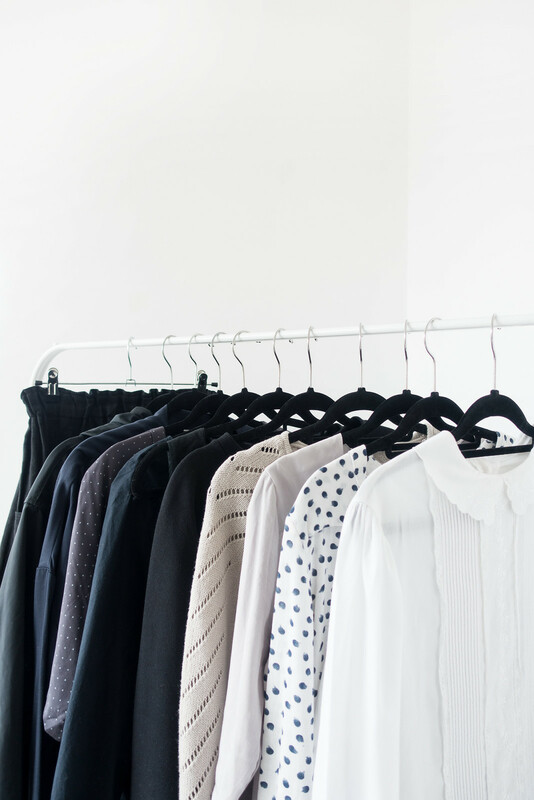 Every season I audit my wardrobe, take stock of what I own, pull out the pieces I'm most likely to wear over the next season, and write a fresh potential shopping list. It helps me focus on my wardrobe resolutions and makes sure I'm ticking all the requirements to get through the season comfortably. 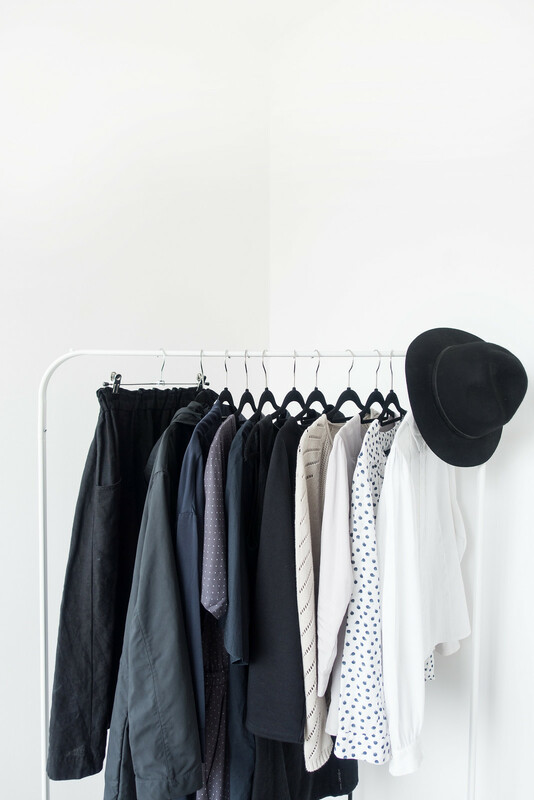 Identifying what I need to repair, replace, or restock in my wardrobe is a great way to start the season that makes me feel confident with my wardrobe choices and considered with my purchases. My spring wardrobe is comprised of three tops, two pieces of knitwear, two dresses, one lightweight jacket, one coat, and a wild card - something that challenges my comfort zone but is still very much wearable. It's enough to create over 35 outfits but if I need or want to, I can supplement my spring collection with other items from my wardrobe; it's not limited to 11 core items. 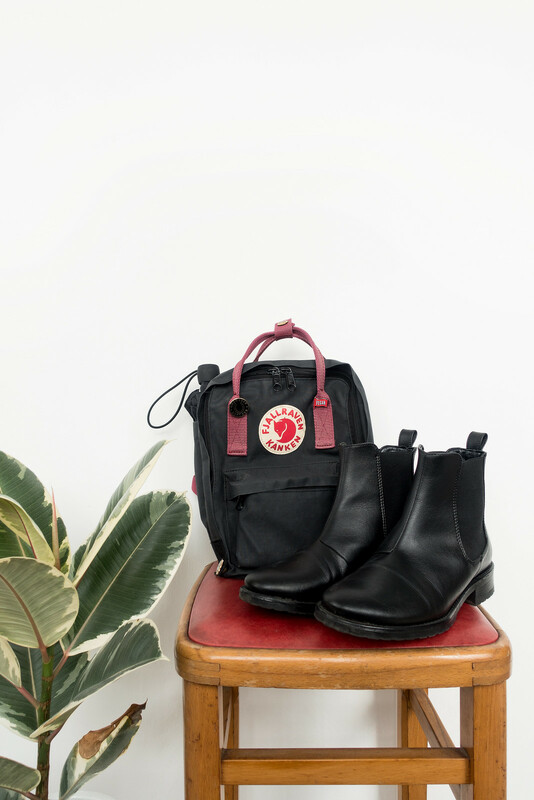 I don't include shoes because I either stick to my trusty Dr. Marten's or Wills Chelsea Boots until it's warm enough to switch to Birkenstocks; nor do I count bags or jewellery because I prefer to pick whatever works best on the day. This season I'm craving colour but just a little. Colour in my wardrobe tends to make me uncomfortable yet I think I've finally pinned down the palette that works for me: pale, muted, washed out tones. Soft blush, lilac, and a hint of navy blue are colours I can get comfortable with taking up space in my wardrobe. I'm looking to add a little more with a few carefully considered purchases as we move towards summer. I chose three tops for my spring wardrobe. One is vintage, the second is a 'painter's spot' blouse, and the third is a misty-hued top - both made by Thought Clothing using cotton or tencel. All three can be paired or layered in numerous combinations with the other items in my spring wardrobe. The vintage shirt has softened beautifully with age making it so comfortable to wear. It has interesting details with a button-up back, embroidered front, and billowing sleeves that gives me Victorian vibes. I tend to roll them up; it looks far lovelier and I don't look quite so matronly in it. The dotted blouse is loose-fitting, a bit more casual than the other two, and looks great layered under dresses or paired with skirts. It's the easy throw-on option that looks good and feels great yet isn't an effort to wear. I hate fussy, restrictive clothing and this isn't that at all. The mist coloured top has a soft v-neck with pleated details and three-quarter length sleeves, something I prefer in tops. I tend to roll or bunch my sleeves up whenever I'm wearing something that has them. The 100% tencel material in this top gives it a structured appearance that looks smart and feels elegant and the colour is great for spring. My JD Williams Linen Dress must be one of the most-worn pieces in my wardrobe. It has a fit-and-flare style I enjoy wearing greatly with a high neck, sleeveless design making it perfect for layering - something I do a lot with my clothes. With this dress, I can wear shirts underneath or over the top, tied in a knot, or layer knitwear. 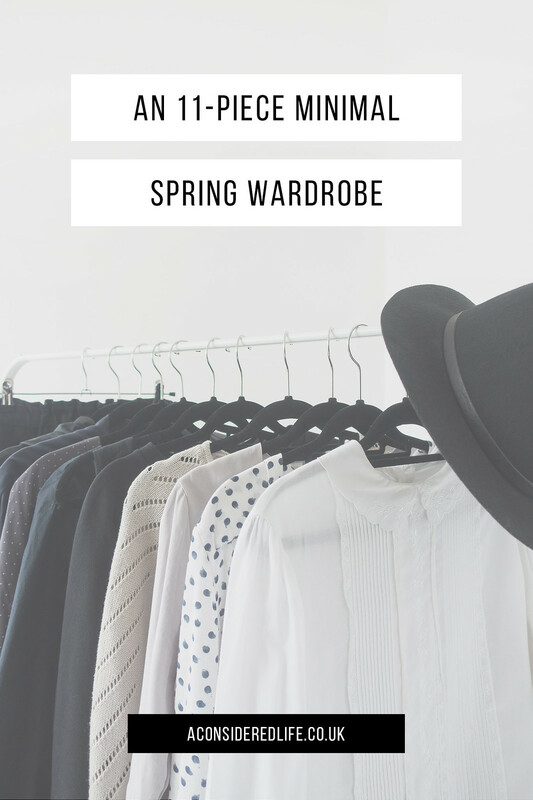 It's one of the most versatile pieces in my wardrobe and perfect for spring. Whenever I want to wear something a little dressier but still comfortable, I reach for my COS Pleated Back Dress. I've had this in my wardrobe for several years and it's just so easy to wear yet gives me that effortlessly put-together with minimal effort. It has an oversized fit with a deep pleat in the back, wide sleeves, and pockets. It's made from crisp cotton poplin that makes a wonderful sound when you move and holds its shape nicely. Even though we're heading into spring, knitwear will be a likely necessity for the foreseeable future and, let's face it, probably for the entire year. In the UK it's unlikely we'll ever be able to pack away our jumpers and cardigans with any confidence or for any length of time. I chose two pieces of knitwear for my spring wardrobe: a Know The Origin Cropped Sweater and Thought Willow Top. The cropped sweater is more fitted giving a smarter, well-dressed appearance whereas the Thought top has an oversized fit with beautiful stitch detailing, making it ideal for layering. The cropped sweater is one of my favourite pieces in my wardrobe, it's a classic piece that's so comfortable to wear. Maybe I'm being optimist but as soon as spring hits I retire my heavy-duty coats and break out my lightweight jackets, they're some of my favourite pieces to wear. Coats stifle me, I hate doing them up, and I'd much rather wear something that complements rather than covers the rest of my outfit. A new piece to hit my wardrobe for spring is the Thought Waterfall Duster Coat* It's made from modal, which gives it a mid-weight feel that's ideal for spring weather, an elasticated back to keep its shape, and loose lapels to give movement. This is the kind of jacket I'd throw on over pretty much any outfit, much like my Elizabeth Suzann Trench. If I can get away with it, weather-wise, I'll wear just the duster or else my mac can be easily thrown on over the top. I'd been looking for a mac for months and after trying on countless not-quite-right ones, I'd all but given up. I took a chance on the Everlane City Anorak using my referral credit figuring I had nothing to lose and a potentially perfect mac to gain. It's not perfect but it comes close. I bought this as we were heading into winter, last year, so I haven't had much of a chance to wear it; I'm excited for it to finally be a part of my daily wardrobe since it's such a great mid-weight transitional piece. Even though I have a rule to never buy anything made from polyester, I made an exception in this case since I'll never be washing it. What sold this mac to me was the oversized fit (fit was a huge issue with previous macs I'd tried on) and the peaked hood. It's water-resistant and the hood (which has a fold-down lip to make it even bigger) works a charm in heavy downpours. I've spoken about my wardrobe resolution to challenge my comfort zone when it comes to style. I've made it a goal of mine to include a 'wild card' for each season and to wear it, at least once, with confidence. This season's wild card is the Thought Spot Print Jumpsuit* I never wear trousers, I don't own a single pair, so they've become a bit of a hurdle I never cross when it comes to style. This modal jumpsuit surprised me with how great it fit. It has a smart-casual look that isn't too dressy or too casual. I'm still testing it out at home but we have some social dates coming up that I'm hoping (confidence allowing) to wear it to. A little note about some of the items in my wardrobe: I continue to wear items I wouldn't repurchase or accept as gifts now for ethical reasons. These items may be made by brands I wouldn't shop from or items made from certain materials. I don't want to discard these items until they are completely worn out and so I continue to wear them.